Sorry to do this but rules are rules and when it stops people from testing it becomes a problem. Two hics pointed me outside of M-0 so that was the first rule broken and they never even replied to me in local so to not appear in my chat logs “pretty smart of them so I’m guessing they been doing this for a while” and forced me to get back to the gate and wait for them to drop point so I could jump back well what I should have done was use the /moveme to do it but in anyway as you would expect what was on the other side of the gate waiting for me in M-0. Not only did they bubble the gate which is a second rule broken. At the end due to the bubble still being up one of the hics pointed my pod which I had to self destruct just to try to do what I was trying to do in the first place. Pic two since it won’t let me upload two pictures in 1 post. Why did you link, to the picture he posted? He clearly said OUTSIDE M-O he was pointed, and when he jumped INTO M-O they bubbled him. I’ve noticed OP, that either CCP is slacking on test server security, or they are not enforcing it at this time… past few months I’ve seen a lot of people post where rules were being broken, and no response from CCP. Best bet, if you can is to submit a ticket about this. Says they dropped point and then he warped into a bubble. not really if you were already caught by focus point in m-0… even on a gate… its not against the rules. Does not matter anyone else warping to the gate would be caught by the bubble would they not? I did they told me to come here and post like a crying baby instead of handling internally. Certainly not lying you have to train reading comprehension to at least 1 to be part of this discussion . They stopped me from warping outside of M-0 which I then slow boated back to the gate and waited until they dropped point one at a time so they could just jump back and catch me on the other side. Please train reading comprehension to at least 1 before replaying. Dude really now train reading comprehension to level 2. I was next door to M-0 if you look at the pictures you will see the gate name. That system is where I was forced to slow boat back to the M-0 gate that is where they dropped point so they could follow me into M-0 and tackle me again. It’s really not that difficult. You must be one of the people that broke the rules that night and now is trying to cover? And right now I won’t get personal with your comment but in the future it remains to be seen. I was thinking the same thing I guess this is how to make sure you can continue to do it if you muddy the waters enough. Too bad it wont happen this time. 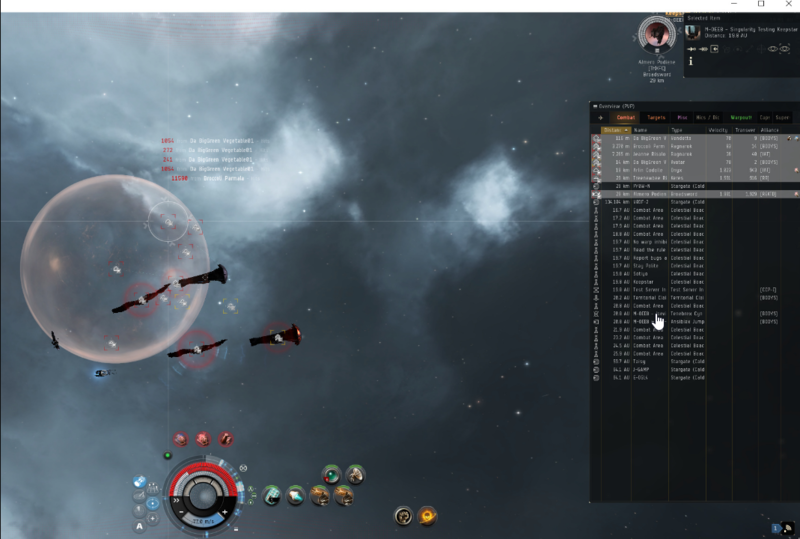 Now if CCP will do something about it and “wishful thinking here” Say something in the tread so that we at least have hope that they care about any rules. Its funny cause neither of your screenshots represent the system outside m-0… and your reading skills is so broken right now… WHY WOULD THEY DROP POINT AT ANY TIME SINCE YOU CANT USE THE GATE WHEN THEY FOCUS POINT YOU… just in case its your eyesight problem. Really? I mean really? Do you think if I had bother to take a screen shot when no major infraction had happened I would not have uploaded it here when this entire thing started? I mean REALLY? You must be extra dense or certainly been one of the people involved in this or the worse troll in the EVE O forums? I have the chat logs for it the entire thing which in case you actually care I sent it to the ticket I opened with CCP but they told me to come here instead “just like I said before”. The screen shots are from after that when I had to get back into M-0 you can see the gate I think it I was 30KM then another at 50KM so yes even a 10 year old would be able to understand that but apparently I think the rule that someone has to be 13 years old or older to play even is not really required. You @Chi_Izanami has added nothing to this discussion so I won’t even bother to reply to you anymore like the original infraction before I jumped back into M-0 is not worth my time to keep track or to bother with it. Actually any reply from you here is worth less then a lost ship in the test server that I can replace in no time even before the next mirror. This tread is not about me it is about people being able to use the test server without rule breakers and trolls like yourself. CCP still waiting for a comment here or in a message somewhere. A simple acknowledgement of we got it would be fine because trying to do the right thing has been a colossal waste of time from everyone involved. Yes lets write more useless text and avoid questions that actually make sense. WHY WOULD THEY DROP POINT AT ANY TIME SINCE YOU CANT USE THE GATE WHEN THEY FOCUS POINT YOU??? clearly you dont have the ability to read question and answer them? surely even my friend with dyslexia would understand my question after 3 times of asking?? ?